There's been a lot of rumors surrounding the upcoming Nokia roadmap for 2013. According to the latest hearsay, the Finnish company plans to launch at least two high-end smartphones in the next few months. The first smartphone rumored to be unveiled at this year's Mobile World Congress 2013 is the Nokia Catwalk. Unfortunately, Nokia decided to delay this top-tier smartphone and bring two mid- to low-end Windows Phone 8 devices into the mix, the Lumia 520 and Lumia 720. Today, Italian mobile guru Flavio, the same person who predicted Nokia Catwalk and Nokia EOS, another high-end smartphone, will be announced at MWC2013, now claims he's the lucky owner of a Nokia Catwalk specs sheet. According to him, both Nokia Catwalk and Nokia EOS do exist, but they have been delayed due to unknown reasons. Currently Nokia Catwalk and Nokia EOS are set to be officially unveiled on May 15 and will go on sale in June or early July. Obviously, both smartphones are powered by Windows Phone 8, but the EOS will be the better featured as the device is said to boast a 41-megapixel rear-facing camera. On the other hand, Nokia Catwalk will pack an 8.7-megapixel photo snapper, featuring f2.0 OIS. It will be equipped with a dual-core Qualcomm Snapdragon S4 processor clocked at 1.5GHz, 1GB of RAM and 16GB of ROM. 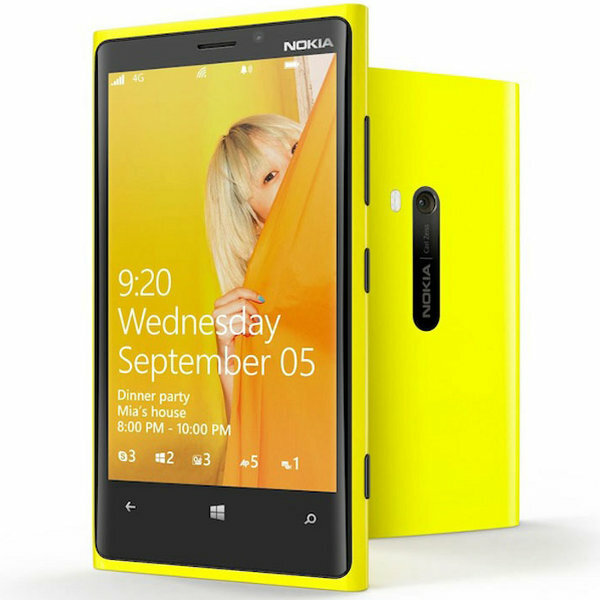 It appears Nokia Catwalk is Lumia 920's successor but with different design. The former will be manufactured entirely from aluminum (i.e. HTC One, Asus Padfone Infinity), while the latter is made of polycarbonate. Because of this change, Nokia Catwalk will be around 50g lighter than Lumia 920 and about 2.3mm thinner. All in all, Catwalk measures 129 x 71 x 8.4mm and weighs only 132g (battery included). Furthermore, Nokia Catwalk has a 4.5-inch octaOLED capacitive touchscreen display that supports 768 x 1280 pixels resolution. According to Flavio: “OCTA is a development of Samsung Mobile Display. OCTA – On-Cell Touch Active-Matrix Light-Emitting Diode (AMOLED).” Last but not least, the smartphone will be powered by a 2,000 mAh non-removable Li-Ion battery, which has yet to be rated by Nokia. There are no details on which carriers will offer the Nokia Catwalk, but the latest hearsay point to a possible release at T-Mobile USA. Stay tuned for more updates on the matter.